Louis A. 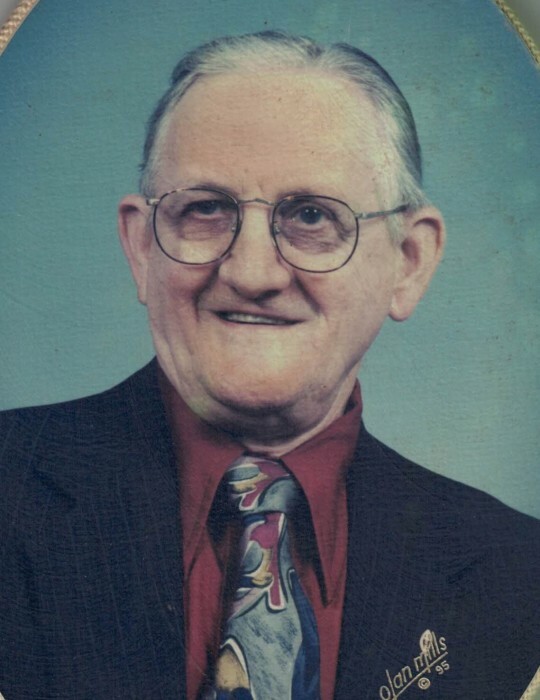 “Louie” Rueter, 93, of New Minden, IL, passed away at 4:45 a.m. on Saturday, September 29, 2018, at Centralia Manor in Centralia, IL. He was born on February 17, 1925 in New Minden, IL, the son of Edward and Ida (Kohlmeyer) Rueter. He married the love of his life, Diane Kemper, on February 14, 1970, and she survives in Centralia, IL. He is also survived by his four daughters, Kimberly Rueter-Ortmann (Andy Ortmann) of Hillsboro, MO; Angela (Corey) Zapp of Hoyleton, IL; Kathy Lister of Hoyleton; and Peggy Rueter of De Soto, MO. His passing is mourned by his brother, Bob of New Minden; sister, Viola Thouvenin of Huey, IL; sisters-in-law Eunice Witte of New Minden and Martha Rueter of Los Angeles, CA; six grandchildren, Kelsey Ortmann of Columbia, MO, Trenton Kurtz of Nashville, IL, Dalton Kurtz of Hoyleton, London Zapp of Murray, KY, Haley Lister of Hoyleton, and Isabel Lister of Trenton, IL; and numerous nieces, nephews, cousins, and friends. He was preceded in death by his parents; his twin sister, Lorna; brothers Wilbert, Edward, John, Delbert, and Arnold; sisters-in-law Jeanette, Valeria, Norma, and Marjorie; and brother-in-law Ron Thouvenin. Louie was an avid, lifelong St. Louis baseball fan, enjoying both Browns and Cardinals games before the defection of the Browns made him a one-team man. He was a long-time employee of Kroger Grocery in Nashville, retiring after 42 years of service. He was a life-long member of St. John’s Lutheran Church in New Minden, where he was active in the Men’s Club and Walther League. Louie was a fixture on the softball fields of Nashville and New Minden, first as a player and then as a long-time umpire. He enjoyed word puzzles, playing rummy, and anything related to the St. Louis Cardinals. Funeral services will be held at 11:00 a.m. on Friday, October 5, 2018 at St. John’s Lutheran Church in New Minden with Rev. Timothy Mueller officiating. Burial will follow in the church cemetery. Friends may call from 5:00 to 8:00 p.m. on Thursday and 7:30 to 9:00 a.m. on Friday at the Styninger Funeral Home in Nashville. The family requests that friends honor Louie by wearing your best Cardinal gear to the visitation. Memorial contributions may be made to the American Diabetes Association or Alzheimer’s research.